With the possible exception of tequila, a computer can make more fasters faster than any other invention in human history. But it can also bring us incredible things, as we found out this week. We are well and truly into the swing of things with our “Month of June” competition on the forums. 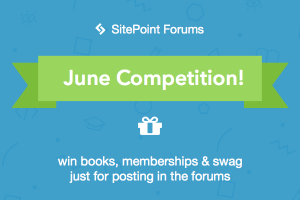 It’s the easiest competition ever to both enter and win – all you have to do is post or reply on the SitePoint forums during the month of June, and you can win a whole bunch of swag that includes SitePoint branded items and your choice of print edition book. But the fun doesn’t stop there (what? you thought we’d only have ONE competition for you? Ridiculous.) 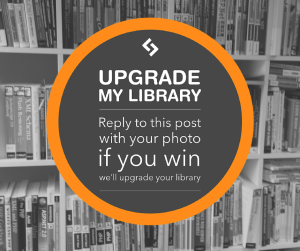 Our second competition is appropriately named #UpgradeMyLibrary because, guess what? 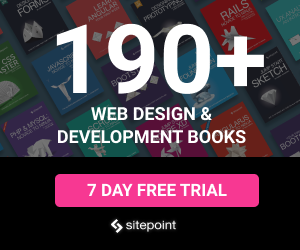 All you have to do is share a photo of your programming books on either Twitter (use the hashtag #UpgradeMyLibrary) or Facebook (as a reply to this post) and if your collection is deemed shocking and tragically old, we’ll upgrade your library with brand new SitePoint books. We’re also giving away spot prizes for other contenders, and during the week I’ll be sharing passages from the oldest SitePoint books in our collection, so we can all laugh about how far the Internet has come. One of the books explains in detail how emails work because that’s how we rolled in 1995. Here’s Kat losing her mind playing KukuKube. In other news, I recently came across an insanely simple and addictive game, KukuKube. Fair warning, it will cause your eyes to temporarily hurt you. 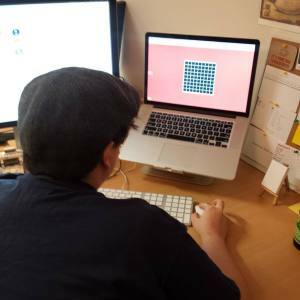 Our designer, Kat, promptly started playing it and received an incredible score of 42. Many tried, many failed, but a lucky few were able to beat her score. Can you? Pro-tip: playing on your phone makes it 10x easier. SEO can be so confusing, you guys. Mikey_W is having a crisis and needs some help with tracking. We also look at something close to my heart, which is, teaching kids – and the kicker is, should we teach kids to code in school? How are your countries/local schools approaching it? Would you ever sign up teach kids in a coding club? *Drummroll*, please. We have a brand new weekly update, thanks to Ralph. Check out the all-new This Week on the Front End for your weekly dose of the latest front-end topics from CSS to content and design. This week is all about you. Show us your library and post in the forums, and you can win! Learnable also recently teamed up with A Book Apart, so all the ABA books are now free for annual Learnable members.